This year, I will be doing a LOT of DIY holiday gift packaging because I am giving lots of gift cards and lots of precious but small gifts. Some people feel like gift cards are impersonal but from what I have seen they are more and more popular every year. AND I have lots of friends and family who tell me they have pretty much everything they want or need so I like to get them cute little things like earrings or bracelets or even tickets to an event that I know will make them happy. And then there are the people I want to tip at the holidays; being a “professional crafter” and all, I don't just want to hand them money – I want to GIFT IT! To that end here is my Ultimate DIY Holiday Gift Packaging roundup of all the things we have that can make your DIY Holiday Gift Packaging a BREEZE! Ready? 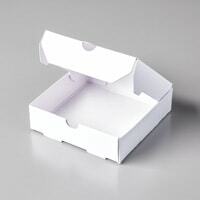 Mini Pizza Boxes – Seriously – have you ever seen anything so cute? You can make some cute little 3″ X 3″ notes to go inside, make a batch of gift tags (gift in a gift! ), place a PERFECT Christmas cookie inside, they are perfect for jewelry or that tip I talked about. Talk about elevating something that might otherwise get overlooked! 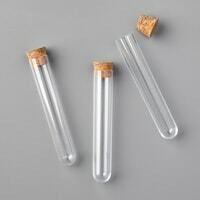 Treat Tubes – These were featured with the Halloween stuff in the Holiday Catalog but they are PERFECT for the winter holidays, too! Fill with M&M's or mini marshmallows (can anyone say tiny snowballs?) or other candies and attach to a gift for a sweet statement. Make a bunch and hang them on the tree with the kids' names on them. Make a different one for every night of Hannukah. ENDLESS possibilities. And don't forget Valentine's Day! I already got my teeny cinnamon hearts to fill mine! 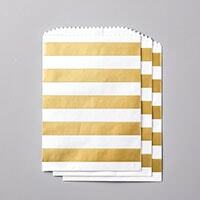 Striped Treat Bags – in gold and white these are almost BEGGING to be used for the holidays! Slip a card inside, a cookie, jewelry on a card, ANYthing and let that gorgeous metallic bling do most of the work for you! 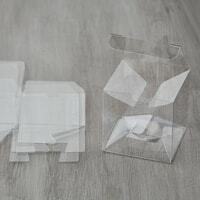 Clear Tiny Treat Boxes – Also adorable filled with candy or any tiny treat. Maybe make up a batch and use as place card holders? 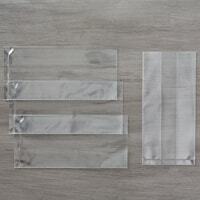 Gusseted Cellophane Bags – These are the quintessential gift bags but the ones from Stampin' Up! 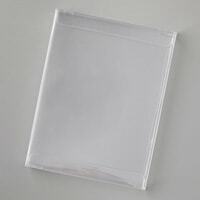 are so crystal clear and soft so they don't crinkle and wrinkle and TEAR like the ones in the craft stores. Shred some old Designer Series Paper and nestle your gift in a colorful cradle, tie up with some ribbon, add a tag and you are DONE! 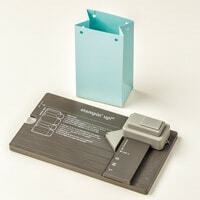 Acetate Card Boxes – Did you miss these on page 13 of the Holiday Catalog? ‘Cause I did and when I saw them I was PUMPED! These aren't just great for giving sets of cards – awesome gifts by themselves – but make great boxes for photos, gift cards and printouts of larger unwrappable gifts or printed tickets to events. The Gift Bag Punch Board – This thing is awesome. I wrote here about how I got it and then forgot about it and then found it and fell totally in love with it. I haven't bought a gift bag since I started using it because A) It's SO easy to use and B) I can make a custom bag for every person and every gift. I look like a total gifting maven every time and it's thanks to this handy dandy gadget. Here they are in a clickable table – add what you need to your shopping cart and get them NOW so you can be ready for the holidays! There you have it – SO MANY OPTIONS! Make your list, choose some EASY additions to these items and get going on your own DIY holiday gift packaging!